Do you have the Stock seat or the Optional Comfort Seat (OEM Part # 219400343 for Black and 219400410 for Tan) on your Spyder? Reason this is so confusing, is there was a Typo in the Spyder literature from OEM. They called their stock seat the Comfort seat. You can call it whatever you want, but it isn't the Optional $600 Comfort seat we are talking about. If you order our backrest for the Comfort seat and it is not the Optional Comfort seat, our bracket will not work. Note the differences in seats below. 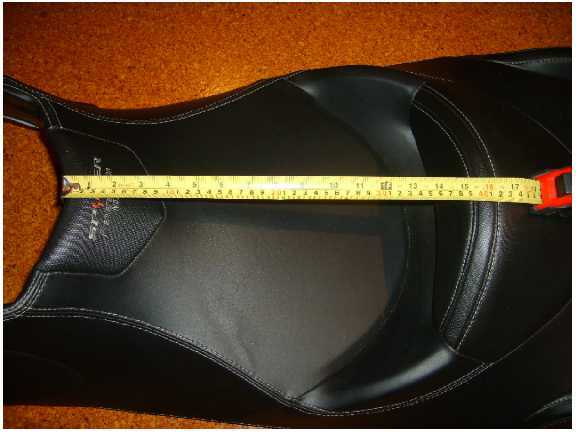 BELOW PICTURE IS THE Stock 2013 and older Spyder RT Seat. Seat cover will look dif on newer model, but same measurement. 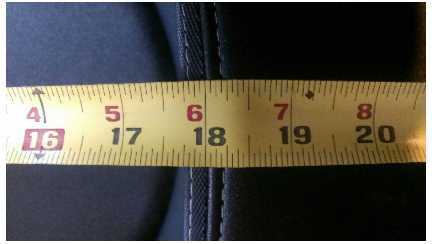 Note measurement from front of seat to top of Driver Seat Rise is approx 15 1/4"-16 1/2". Also note, on the Limited seat on 2013 and older, you will see the Limited logo on front of Driver Seat. You will not see the Logo on the newer models or Optional Comfort Seat. What is true indicator on all years, is the measurement. 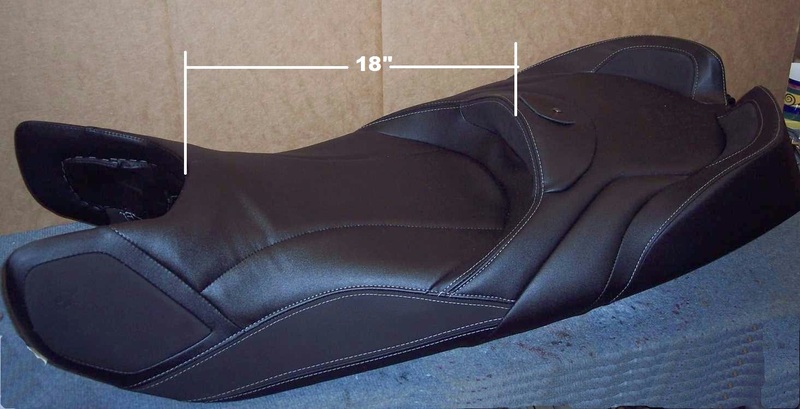 BELOW PICTURE IS Optional Comfort Seat (OEM Part # 219400343 for Black and 219400410 for Tan). Note measurement from front of seat to top of Driver Seat Rise is approx 18". Again, you will not see the Limited Logo on the Optional Comfort Seat. You will also see lines sewn on the inserts of seat, that you sit on, that you do not see on the Stock seat. 12 NOON - 5PM est.